Australia boasts some of the world’s most magnificent beaches. With over 10,000 to choose from we’ve got a pick for every type of ocean lover. Nevertheless, beneath the surface of our glorious coastlines lie a variety of dangers that could spoil your time at sea. Our interactive beach tool will guide you through a range of features to ensure your time in the sun is spent safely. Whether you’re after the location, size, facilities or hazards of the beach we’ve got it all. 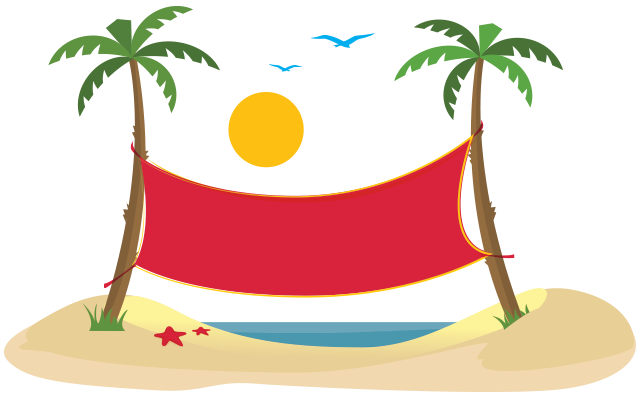 Just type the name of the beach you’re visiting in the search box below to get all the information you need. Water you waiting for? Dive right in! Whether you’re going to the beach to swim in the sea, play in the sand, ride rad waves, fish along the shore or even have a picnic. No matter what you’re doing, it’s important to be prepared for the unexpected. 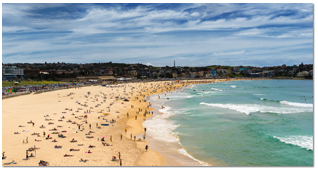 Keep reading for all the tip-top information about Bondi Beach. Beach location is not available. Bondi Beach is and will take to get there from your location. Please enable location services in your browser for directions. Your browser does not support location services so we cannot get directions. 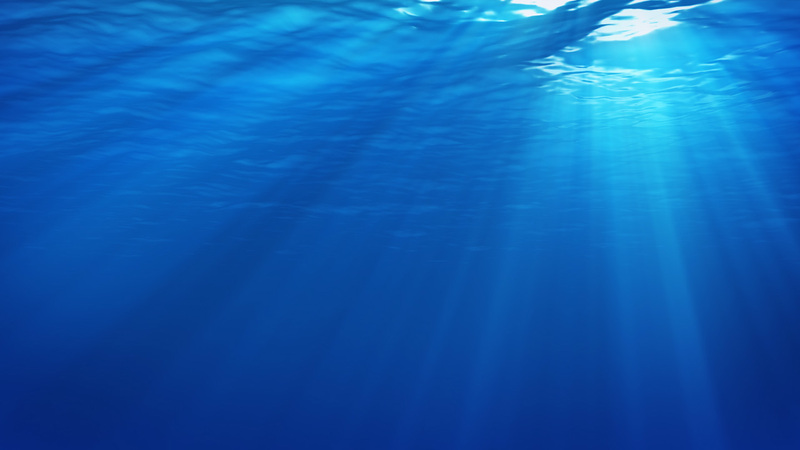 As inviting as our waters may be, it's important to remember that what lies beneath those majestic seas is unpredictable. Before you go taking a dip, read up about the swimming conditions of your chosen beach. All these beaches usually have low waves to calm conditions and are relatively safe for swimming, They are best at high tide, as rocks and tidal flats are exposed at low tide. Take care of the numerous submerged rocks along many of the beaches. From high surf, flash rips, or even the risks of coconuts falling on your head; there are hazards to watch out for on any Aussie beach. The following are the ones to watch out for at Bondi Beach. Surf Lifesaving Australia give each beach a safety rating. Beaches are rated between a scale of 1-3 least hazardous, 4-6 mildly hazardous, 7-8 highly hazardous and 9-10 extremely hazardous. Before you visit any beach make sure you understand the risks. One size certainly doesn’t fit all when you’re talking Aussie coastline. From year round patrolled beaches to wild and wonderful mangroves, the Aussie waters certainly have it all. If you’re after information about parking, shower amenities or if your beach has the BBQ facilities. We’ve got all the details in buckets loads for you right here. From big-wave breaks, treasure troves of turquoise waters to cruisy harbour hideaways, there's no shortage of variety when it comes to Australia's coastlines. 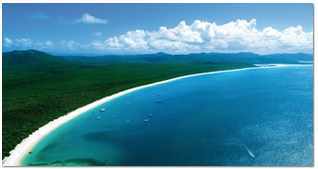 We take you through some of the best beaches Oz has to offer and highlight the wonders of each spectacular hotspot. The gateway to the Whitsunday Islands and the Great Barrier Reef. 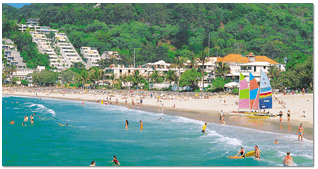 Airlie beach is also famous for its nightlife and popular with backpackers. Perhaps Australia's most iconic beach. Found in NSW, just half an hour from the CBD. Bondi attracts over 2 million visitors each year. This coastal town in southeastern New South Wales is famous for its beaches, surfing, hippy vibe and scuba diving sites. Located roughly halfway between Perth's central business district and the port of Fremantle. 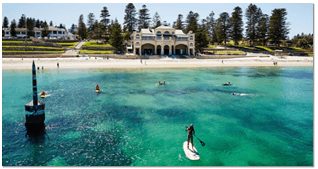 Cottesloe is famous for its stunning beach and relaxed lifestyle. 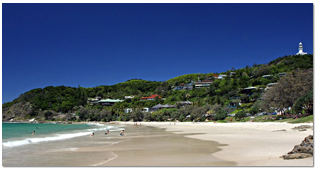 30k north of Brisbane, Noosa is a swanky resort town with stunning landscapes &tropical rainforests. Named one of the best beaches in Australia by Trip Advisor. 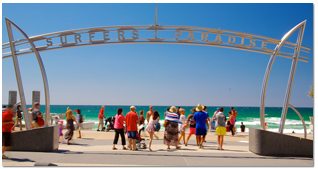 This seaside resort on Queensland's Gold Coast is known for its high-rise skyline and Surfers Paradise Beach, shops, cafes and lively nightclubs. How much do you really know about the Australian coastline? Can you guess how many beaches the land of plenty has? Or what the chances are of you being caught in a rip? 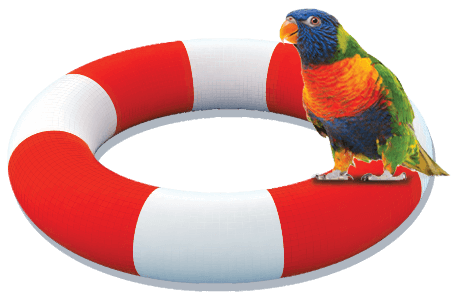 Hover over the coloured tiles below to find out some surprising Australian beach facts.